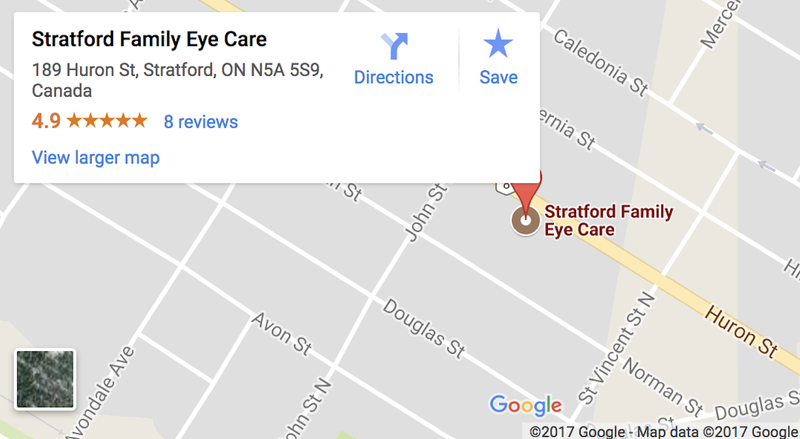 I would highly recommend Stratford Family Eye Care! For the past five years Dr. Huxtable and the rest of the staff have taken wonderful care of my eyes. Dr. Huxtable is always very caring, friendly and professional, and makes eye exams less stressful than they typically are. Over the years I’ve purchased a few pairs of glasses, one of which I broke and thought they were beyond repair, but somehow they were able to fix them for me. Last week I picked up my newest pair of glasses and I am loving them!